In the past decade, animal expert extraordinaire Jeff Musial has certainly been making a name for himself in the wild world of animals! From running his nationally recognized animal sanctuary to making his national television debut on CBS’ “The Morning Show with Mike and Juliet,” quickly followed by NBC’s “Today Show,” amongst many others, to becoming Jimmy Fallon’s go-to animal expert with over 30 appearances on “Late Night with Jimmy Fallon” and “The Tonight Show starring Jimmy Fallon.” Jeff’s vast knowledge of exotic animals, worldwide, coupled with his comedic styling and endearing personality have made him an uncontrollable force when it comes to educating people of all ages about the many different animal species that inhabit the world. Since childhood, Jeff has surrounded himself with animals! What started with catching garter snakes and frogs in the backyard quickly transitioned to working in a pet shop, studying zoology in college and ultimately, launching his own animal sanctuary, Nickel City Reptiles and Exotics in 1999. 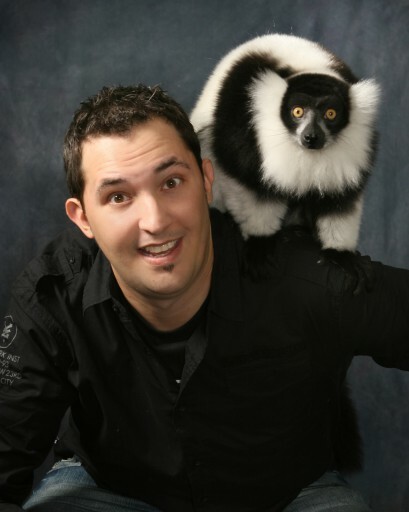 Through Nickel City Reptiles and Exotics, Jeff Musial has not only rescued thousands of rare and exotic animals but he’s been captivating audiences of all ages with his unique blend of education and entertainment. With his exclusive style, Jeff, along with his animal ambassadors, is quickly becoming a foremost national figure when it comes to animal education. After spending a few years appearing as a regular guest on local news stations, Jeff has now cemented his role on a national level as both an educator and an unforgettable personality. Besides appearing on all things Jimmy Fallon, Jeff has also brought his brand of animal expertise and entertainment to “The Martha Stewart Show,” “Late Night with Conan O’Brien,” VH1′s “Big Morning Buzz Live with Carrie Keagan” as well as working with Animal Planet. He’s also appeared as himself on hit series “iCarly” on Nickelodeon’s as well as “Eastbound & Down” on HBO. Jeff will next be appearing on the Steve Harvey Show’s Halloween Special airing later this month.